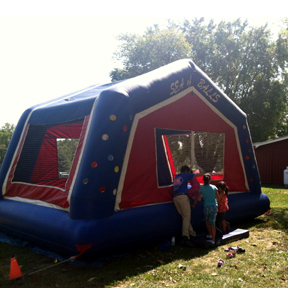 Ball Crawl Rentals - A big inflatable ball pit moonbounce filled with thousands of colorful balls for added fun! Serving Montgomery County Maryland and surrounding Maryland, Washington DC and Virginia areas. Ball Crawls - A big moonbounce filled with thousands of colorful balls for added fun! The toddlers will bounce and jump in a sea of balls for hours and hours! Includes inflatable, 2 blowers, balls, and 1 attendant.